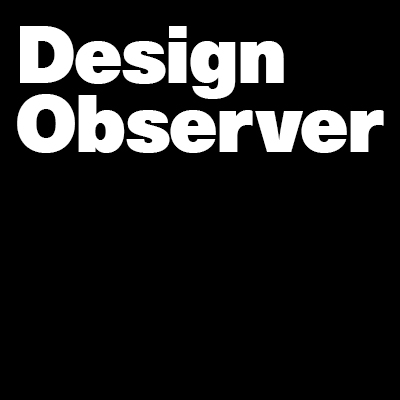 The Design Observer iPhone App, now available for FREE to all users on the App Store, offers a quick way to survey what's new every day at the world's leading online design journal. It provides a superior mobile reading experience for all articles and allows readers to easily browse a wealth of DO content by channel, by author or by topic. Our special Mondrian view offers users an innovative, immersive interface for visually exploring articles by key images. The app was designed and developed by Small Planet Digital, a mobile application developer based in Brooklyn, NY. "It was a pleasure partnering with the Design Observer team on the project" said Small Planet CEO Gavin Fraser, "and we're quite happy with the results, especially with the implementation of the 'Mondrian' visual browser. We hope the good folks in the Design Observer reader community like using the app as much as we loved making it!" Design Observer also gratefully acknowledges the contribution of Khoi Vinh, who advised on this project. Small Planet Digital is a professional services firm that specializes in game and application development for mobile devices, with a particular focus on the iPhone and iPad platforms. In addition to Design Observer, Small Planet's clients include Disney Publishing, General Motors, Paramount Pictures, Hearst Magazines, R/GA and others. Happily based in Brooklyn, NY, Small Planet offers full application planning, design and development services, in addition to application marketing services. For more information, feel free to reach out via email to info@smallplanet.com. Oops. You forgot a link to the app. Looks great, any plans for an Android app? Hooray! but Android app please. You know, the iPhone has been out for years. It's available all over the Americas, most of Asia, Australia/NZ, and even parts of Africa and the Middle East now. I think the N. American market share is near 50% followed by RIM then Nokia - but I could not find recent data. Probably higher. Oh, and what about the iPad? Another big market and growing. Android is relevant. Now — what mobile OS to designers (the audience of this app) use? I don't know. I imagine it would skew more Apple. Congrats on the app guys/gals! Lovely work! Particularly like the scrolling on the nav down the bottom! Thanks for putting it together! Loving the app. One thing I'd like to see improved though is the 'share' option. When i tapped 'Twitter' I expected it to at least allow me to edit what the tweet said, but instead it just automatically tweeted the long URL with a standard (and therefore, unusefully vague) bit of text. On the Android front the issues for developers are many. First, the proliferation of devices makes it challenging to design for a standard screen size. Second, same reason, all the devices make it hard from a developer standpoint, whereas Apple is one size fits all. So while we know and respect there is another community out there, Apple has made it a much more developer friendly ecosystem. Hope that makes sense! Any chance of an iPad app? Ps: please moderate the iPhone/Android bashing, it's not relevant. Very well done! I would say it even surpasses the website. Thanks for this. I'm currently exploring the app, which looks great and functions nicely. One thing I miss: an option to share via Instapaper. Any hope of future implementation of that? Great App, I'm already a fan of the image surch - Mondrian, great aesthetics and fabulous idea. So this info is only available thru iphone app?